It’s said that some people would rather die than speak in public. You might be one of them. Certainly, if you’re a sensitive person, you might avoid public speaking at all costs. Public speaking can be difficult for the sensitive person, because we’re often more concerned about what other people feel and think. This can create a sense of anxiety, and anxiety, of course, makes it really hard to articulate clearly. When we’re feeling anxious, or overly stressed, we experience a rise in cortisol. This rise in cortisol triggers blood loss from the thinking part of our brain. High cortisol limits the brain’s ability to process and articulate information. This, obviously, makes effortless articulation nearly impossible – especially on the stage or in front of a group. Be prepared. 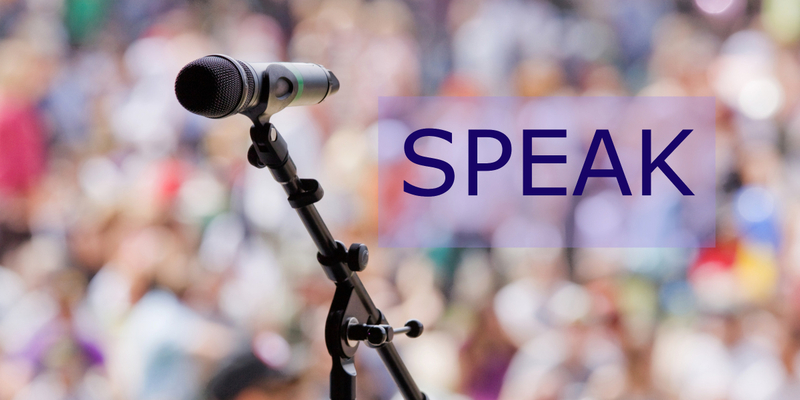 No matter the type of speaking engagement, it’s crucial to do your work ahead of time. This means doing your research, refining and updating your knowledge, planning your talk, writing your outline, and creating any hand-outs or informational documents. Ahead of time. Preparation will help you deepen your well of knowledge about your topic. 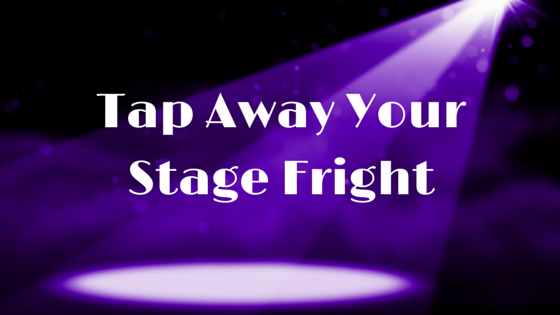 It’s this well of knowledge that will help keep you in the flow once you’re on stage. Let Go. Once you’ve done your preparation, you’re ready to let go. Allow time (plenty) before your event to permit the creative process to take over. Keep a notebook handy to write down spontaneous ideas and additions to add to your outline. This is the time to give your mind a break. You’ve done the work, it’s time to trust the process. Relax. Use the hours before your event to relax. Meditate. Listen to soothing music. 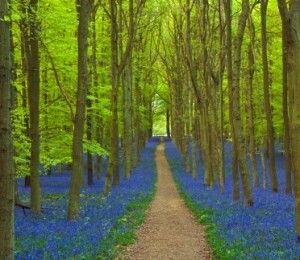 Take a walk in Nature. Keep your energy field as clear as possible from negative disruptions. Get yourself into the ‘zone’ of relaxed energy flow. Deep Breathing – Slow, deep breaths will turn on the relaxation response. EFT Tapping – Tapping on the karate chop, or other points – this helps to reduce cortisol, so you can think more clearly. Heart Breath – Close your eyes, and Imagine that you’re taking slow, deep breaths in and out of your heart. Allow yourself to sense the energy in your heart lightening and expanding. Breathe this way for 1 minute or longer. The Heart Breath helps to entrain the brain to be calmer and more effective. Speak. You’re fully prepared. You have a deep well of knowledge. You might even have a brief outline by your side to refer to if needed. You’ve used your relaxation tools. Now it’s time to let go, and move into your zone. Allow your knowledge and talent to flow through you. Speak. It’s all within you. You’ve got this, go for it! Need help getting up the courage to speak, or to put yourself ‘out there’? Reach out to me, and learn how EFT tapping can help. Stress can happen anytime, anywhere. And, these days, it’s easy to walk right into it. From finances and job obligations, to family and home, you might be dealing with an abundance of stress triggers throughout your day. Add in a dose of politics and world events, and it’s easy to get overloaded. Of course, as a Certified EFT Practitioner, I always recommend using EFT Tapping to ‘deactivate’ persistent stress triggers. It’s amazing how EFT can help shift the overall stress load in any given situation, even if nothing else changes. But, life happens. And, no matter how ‘zen’ you are, stress happens too. What’s more, the stress hormone cortisol triggers blood loss from the thinking part of your brain, and will interfere with your ability to think most effectively. What’s crucial is to release stress as you go, to prevent stress from building up until it manifests as pain, or emotional unbalance. Releasing stress on a daily basis will help you keep your energy and nervous system calm and well balanced. 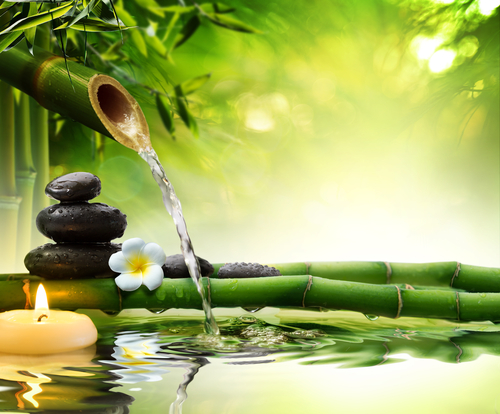 Meditation — Meditation has been shown to activate the body’s relaxation response. 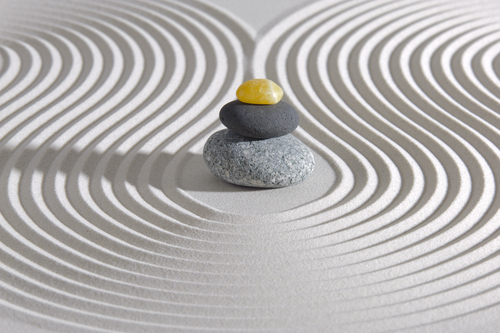 Starting the day with a short 10-20 minute meditation will help create a peaceful tone for the rest of the day. Exercise — Workouts such as cardio, yoga, and strength training help increase feel-good endorphins, our body’s natural pain relievers. Moving and stretching your body will also help release tight muscular tension and stress. Be sure to stretch before and after your workout to increase flexibility and prevent injury. Tulsi Tea — Tulsi Tea is made from the adaptogenic herb Holy Basil. An adaptogenic herb works as an anti-stress agent. Holy Basil helps regulate serum cortisol levels and has been found to reduce anxiety and emotional stress. Organic India offers Tulsi Tea in a variety of delicious flavors. Mountain Rose Herbs sells Holy Basil in bulk. Magnesium Bath — Magnesium is crucial for a number of bodily functions, including the relaxation of body and mind. It’s widely available in a variety of foods. Magnesium, however, is easily depleted. Tight muscles or a stressed mind might be symptoms of deficient magnesium. A bath or foot soak in Epsom Salts, or any other type of magnesium salts, will help you replenish depleted magnesium. Deep Breathing — Remember to breathe, deeply. Deep breathing promotes your body’s relaxation response. Heart Breath — Breathing from your heart takes you out of stressful mind-chatter. When activated, your heart actually has the power to help your brain relax. Click here to download a Heart Breath Audio. Laughter — Laughter helps oxygenate and relax your body and mind. Laughter increases endorphins and reduces cortisol Laughter feels really good and can act as a carthasis to release trapped emotions. Take laughter seriously ! Watch funny movies, comedy shows, funny animal Youtube videos, and talk regularly with people who make you laugh. Binaural Beats — A type of audio-therapy — music embedded with different wave-length frequencies — which helps reduce stress and anxiety. When listened to with headphones, binaural beats will help entrain brainwaves into a deeper, more relaxed state. Nature Walk — Nothing like sunshine and fresh air to boost your mood. Simple, and very powerful. Choose a few of your favorite stress-relief techniques to keep in your ‘back pocket’, and use as often as needed. It’s amazing how good it feels to let go! FREE TRAINING: Overcome the Fear of Shining in Your Business So You can Do What You Love. Click here for download. When things get hectic, I know how easy it is to get thrown off balance. And when I’m off balance, everything feels harder. It’s those times when it’s really hard to stay centered, that I know I need to pay more attention to my self care. No matter how hectic things feel, or how little time I believe I have. It’s a struggle, sometimes, when I would just just rather zone out. But it’s the practice that brings me back to center, every time. And it’s this practice that helps me keep my peace. Here’s a quick list of helpful centering practices– I use a combination of some or all each day. Morning Meditation — A silent meditation, a guided one, or one with music such as Wayne Dyer’s I AM Wishes Fulfilled. 15-20 minutes. Morning Pages — Three handwritten pages, free-flow, before breakfast. Nature Walk — As little as 15 minutes can do wonders for a scattered mind. Yoga — Helps strengthen, center, and unite your body, mind and spirit. Even a short warm-up routine can be enough to keep you centered throughout your day. Spring Dragon Tea — Made from the herb gynostemma, this tea is perfect for boosting stress relief and focused energy. Manufactured by Ron Teeguarden’s Dragon Herbs. Afternoon Still Time — Quiet time, with no distractions, except maybe a book. Or perhaps even a 15-20 minute snooze. Wonderful for clearing and rejuvenating a busy mind. Evening Inspirational Reading or Listening — So helpful for those truly stressful days. Tuning into inspirational authors, poets, speakers, and musicians is a soothing way to come back to a place of centered calm. Evening Tapping — A quick round of tapping, at the end of the day, helps me clear away distracting residue. For an illustrated description of the tapping points, click here. Heart Breath — One of my favorite ways to get out of my head and into my heart. This technique involves deep breathing, and uses the heart’s energy to calm your busy mind. 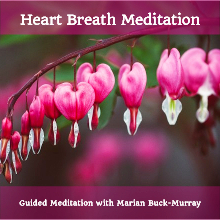 Click here for a short heart breath audio meditation. So here’s the deal. It might feel hard to commit to even a couple of these suggestions. But do it any way. It will make all the difference to help you stay centered, and happy, especially in hectic times. Click here to apply for a free, 30-Minute Unleash Your Creative Genius Clarity Call. Here’s a quick list of some of my all-time favorite ways to soothe my stress. Bottom line –when you nourish your body-mind, you will transform your life. Refined Carbohydrates, Artificial Sweeteners, Sugar, Alcohol & Coffee. Green Vegetables, Orange Vegetables, Naturally-Fermented (Cultured) Vegetables, Low-Sugar Fruits, Seaweed, Gluten-free Grains. Adjust your eating habits to promote a relaxed body and mind. Eat small meals/snacks during day to balance blood sugar. Eat dinner 3-4 hours before bed for good digestion and sleep. Click here to learn more about my Stress Buster Diet Program. * Consult with your health-care practitioner before taking herbs and supplements. What’s your favorite way to soothe your stress? Post below. Share this with someone who needs effective ways to soothe stress.